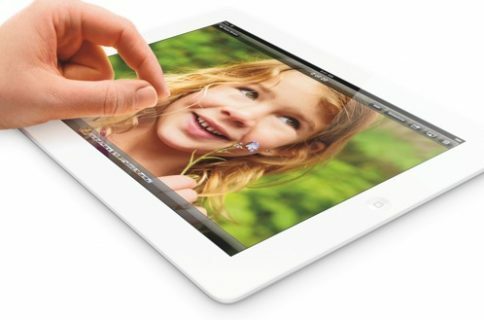 When Apple unveiled the iPad back in 2010, it was believed that it was going to turn the print industry upside down. 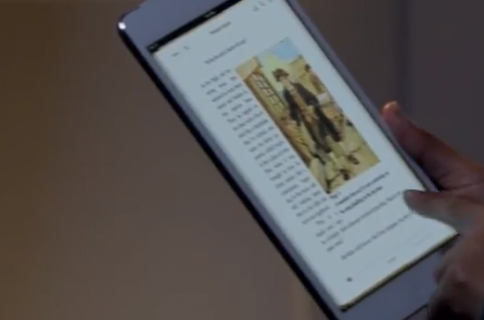 Traditional newspapers and magazines were both supposed to be victims of the popular tablet. The Next Web points to a new report from comScore that covers its findings from a recent three month study. Between June and August 2012 of this year, the marketing research firm documented the reading habits of more than 6,000 US tablet owners. The report shows that 39.2% of Kindle Fire users read newspapers on their tablet during a 1 month span, edging out Apple iPad users at 38.3%. 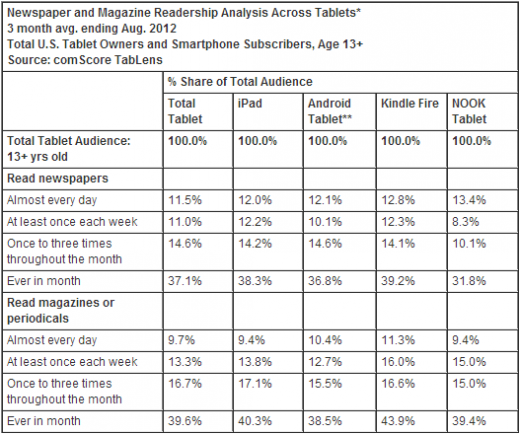 Kindle Fire users also read more magazines, at 43.9% vs. iPad users at 40.3%. 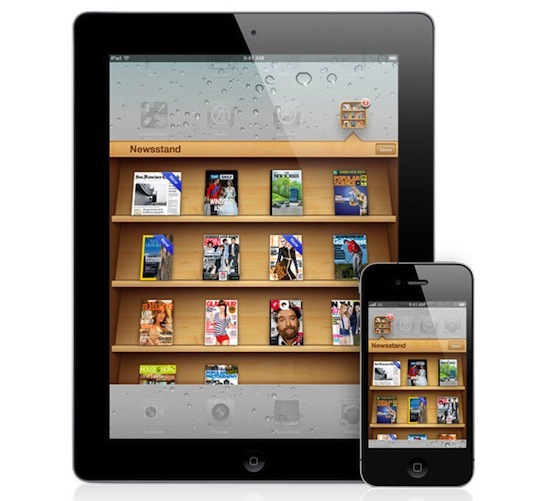 Apple, for its part, pushes its newspaper and magazine offerings through its Newsstand platform. The app, which was introduced in iOS 5, comes preinstalled on devices, and is extremely difficult to remove from the home screen. Additionally, Apple is widely expected to launch a new, smaller tablet next week with a focus on iBooks and other consumable content. It’ll be interesting to see if the smaller form factor advocates more reading from users. 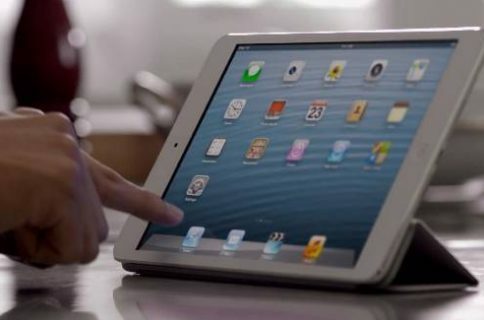 Do you use your iPad to read things like magazines and newspapers?